Jemaah Islamiah’s ideologue was the mind behind the Bali attack. Out of 202 dead, 88 were from Australia. For the latter, Baasyir must serve his entire sentence. President Joko Widodo orders an in-depth review of the decision. 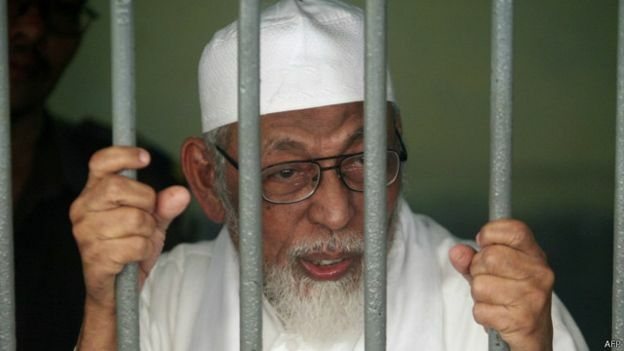 Jakarta (AsiaNews) – The release of radical Islamic leader Abu Bakar Baasyir (pictured), convicted in connection with the 2002 Bali attacks, is dividing Indonesians and drawn international criticism, especially from the Australia. For his part, Baasyir continues to reject Pancasila, Indonesia’s state pluralist philosophy , and refuses to sign any commitment of loyalty to the Indonesian state. 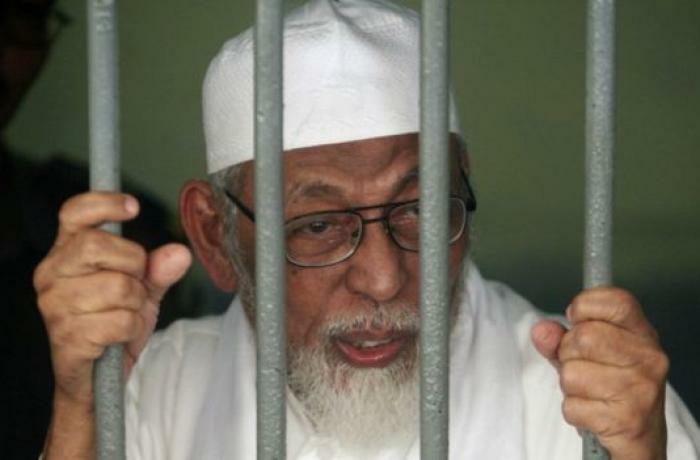 The 80-year-old spiritual leader of Jemaah Islamiah (JI), an Islamist armed group, also refused to sign any statement renouncing the crimes that landed him in prison. Baasyir received a 15-year sentence in 2011, for funding an extremist training camp in the province of Aceh. Although involved in the Bali attacks, the Islamist leader was never convicted for the terrorist attack in which 202 people were killed. Some 88 Australians were among the dead. For this reason, Australian Prime Minister Scott Morrison yesterday reiterated his country’s position that Baasyir should serve his entire sentence. On Friday, the president said that Abu Bakar Bashir would be granted an early release on humanitarian grounds, citing his old age and poor health. However, Baasyir remains a hot issue among the Indonesians, who will go to the polls next April to elect a new president. The election will pit the incumbent, Widodo, a moderate, against political parties that promote conservative Islam. Those in favour of Baasyir’s release include people who fear violent protests by the preacher’s supporters should he die in prison. Widodo’s rivals would probably exploit the resulting tensions. Those who opposed Baasyir’s release believe he does not deserve to be free because of his hostility towards Indonesia’s secular state. Some see his liberation as an "exchange" for the early release of Basuki "Ahok" Tjahaja Purnama, the former governor of Jakarta, who is ethnic Chinese and a Christian. For the authorities, this would be a way to placate radical movements. Ace Hasan Syadzily, responsible for Widodo's election campaign, rejected such a claim. “Baasyir’s release is based on humanitarian grounds, not political considerations."